"Czech history is the ground on which, from time immemorial, the antagonism of Germanism and Slavism have broken out in the sharpest form and have come to their clearest focus. The essential content of Czech history is a perpetual struggle between the German and Slav elements." In the pantheon of democratic heroes there surely must be a place for František Palacký. Palacký’s History of Bohemia (published in German 1836-67 and in Czech 1848-76) affected Czech nationalist feelings at a time when the questions of what was a nation, who had the right to rule, and how to rule were posed as a result of the successful American and French Revolutions. His work put Czech history in the light of a continuous conflict between his people and the Germans. Influenced by the writings of lmmanuel Kant and Jean Jacques Rousseau, Palacký, with his writings and his vision of a democratic Czech state, greatly influenced Thomas Garrigue Masaryk, the first president of Czechoslovakia. Palacký’s life is worthy as a subject of study not just because his life embraced many of the ideals and traditions at the core of the Czech people, but because these same ideals are the aspirations of freedom-seeking peoples throughout history. Historian, writer, poet, and a nationalist with democratic ideals, Palacký was the right voice for a cultured, educated people seeking to take their place at the table of nations. Palacký was born June 14, 1798 in Hodslavice, Moravia. The second of twelve children by Jiri Palacký, the local schoolmaster, Palacký early on in life displayed his scholarly aptitudes. By age five he already had read the Bible. At nine his father enrolled him in a nearby school to learn German. The Countess Truchsessova, a follower of the Enlightenment, started the school and the students there received an excellent education. Palacký’s father, a devout Lutheran, thought that some of his son's Catholic teachers might have an undesirable effect on his son's education. To counter this perceived threat, Jiri Palacký moved his son to an Evangelical Christian school in Trencin, Hungary (now part of Slovakia); there the young Palacký found his budding academic skills put to the test. With classes taught entirely in Latin, Palacký was completely immersed in the ancient language. On his own initiative, he learned basic French and Greek and was influenced enough by Lutheran teachings to set his vocation as a missionary. Despite the religious bent we see in his life at this early stage, Palacký would attend the lyceum in Pressburg, Hungary. It is here, over the course of the next ten years, that Palacký spent the most important part of his formative years (Zacek 14). Pressburg teamed with native Magyar, German, and Slav populations. More metropolitan than the provincial towns he had been used to; Palacký received an education that was academic as well as social. A lyceum combined the education of a gymnasium, a college preparatory secondary school, with a theological component that served as a seminary for Evangelical ministers. Palacký's areas of study cover physics, metaphysics, law, logic, ethics, statistics, mathematics, Greek, Hebrew, Roman classical literature, and Latin composition. Palacký's private reading list included Enlightenment and Early Romantic writers, philosophers and poets. His platonic relationship with the Hungarian noblewoman Nina Zerdahelyi provided Palacký with an important social education by introducing him to the manners and traditions of upper class society, as well as members of the Hungarian nobility (Zacek 15). Palacký's education conflicted with the theological ideals he had been taught. During this period of questioning, the readings of lmmanuel Kant, among others, became influential in helping Palacký to resolve this philosophical conflict. While remaining a person with a deeply moral character, he no longer believed in any organized Christian beliefs other than a belief in God, Jesus as Christ, and the immortal soul (Zacek 16). Palacký completed his gymnasium education in 1818 and by 1822, in a letter to Nina Zerdahelyi, expressed his desire not to pursue a life in the ministry nor as a "dry academic" (Zacek 17). Instead, Palacký would forge his own path. In the years following his graduation Palacký made his first forays into writing and publishing on subjects that were of interest to him the most at the time, poetry and philosophy. 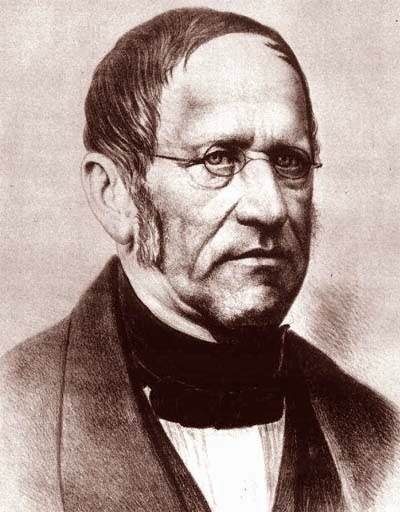 Along with his friend Pavel Josef Safarik (1795-1861), a Czech philologist and archaeologist, had published The Beginnings of Czech Poetry, anonymously in 1818. This work stressed the value of Slavic literary culture apart from German and older Czech literary traditions. The success of this work inspired Palacký to consider other poetic works involving Jan Hus or the Napoleonic era; however, he did not consider his skills up to the task. Instead, drawing upon his interests in philosophy and aesthetics, he began to write the first two volumes of a planned, yet never completed, five-volume work called Aesthetics. Although Palacký never finished the other three volumes of the set, and had dropped plans for completing it by 1823, it remains important as it is the first use of Czech to write a philosophical work since the Seventeenth Century writings of Comenius, Jan Amos Komensky (1592-1670), the last Moravian bishop (Zacek 17-18). Palacký remained in Pressburg until 1823. Altogether, this period of Palacký's life completed his education, introduced him to aristocratic and upper-class circles, resolved conflicts between his religious and philosophical beliefs, and had him meet with early literary success and frustration. Having polished and practiced his ideals on Czech and Slavic culture, history and traditions Palacký moved to Prague in April 1823 (Zacek 18). Upon arriving in Prague Palacký encountered the bias against the Czech language and the struggling attempt at a cultural revival. In 1826 Palacký had turned his passion into practice after making an impassioned plea to the President of the Museum of the Bohemian Kingdom and Josef Dobrovsky (1753-1829) a Hungarian philologist born of Bohemian parents who Palacký criticized for not having written much in Czech. Palacký was made editor of a journal published by the museum to drum up publicity for it as well as promoting Czech culture. Printed in both Czech and German, it is not surprising that the German publication went out of business by 1831 (Pech 31). The Czech publication continued with a strong and growing base of readership and Palacký turned it over to his old friend Pavel Safarik in 1838. A planned encyclopedia never materialized due to suspicions of revolutionary activity by the Austrian government. The encyclopedia, it was hoped, would also advance the developing Czech language expand into scientific areas. It was eventually published by his son-in-law in Prague from 1860-1874 (Zacek 22). In March 1831, Palacký was appointed by the Bohemian Estates to write a history of Bohemia. The first volume, History of Bohemia (published in German 1836-67; in Czech 1848-76) is among the works Palacký is most noted outside of his homeland. He traveled extensively tracking down important documentation, even to the Vatican itself. During this time, he demonstrated his dedication to his research, often working long days, every day. His effort led to the availability "of relevant archives-domestic and foreign, public and private, secular and religious-to Bohemian historiography" (Zacek 45). Palacký would continue his research even after his relationship with the Museum dissolved. The great wealth of documentation he unearthed and his analysis of it would have a tremendous effect on the Czech cultural revival. Not only did it include important historical facts, but also was meant to serve as an example of what Palacký considered to be a grammatically correct expression of the Czech language for others to follow. This repeats a familiar theme in Palacký’s professional life - promoting native history in the native tongue for the purpose of promoting both. It is noteworthy to observe that his History of Bohemia was published first in German with the first Czech version coming twelve years later. Since the Czech audience would have been able to read German this would not necessarily have inhibited the influence of the book. Nevertheless, the fact that the Czech publication came over a decade later is indicative of the "second-class" position the Czech language was being relegated to within the Austrian Empire. 1848 was an important year for reign of monarchs that ruled over Europe. The revolutions in America and, especially, in France gave rise to hopes of many people if not for nationhood, than for political change or greater enfranchisement with their system of government. It was an era of absolutist rule by the European monarchs. While Napoleon might have inadvertently stirred up nationalist aspirations among the masses, to the aristocracy it meant that they needed a firmer grasp of power. The Congress of Vienna demonstrated that the aristocracy was inclined to ignore the national aspirations of the Germans and Italians and refuse them a seat at the table of nations. The wars that came from the so-called "liberal excesses" of the Napoleonic era convinced statesmen like Metternich that to give a home to the same ideas in a unified Germany and Italy (Strayer & Gatzke 847). No doubt, the threat a unified Italy or Germany might present to Austrian territorial interests in Europe were a consideration as well. New ideas on how to govern were breaking ground in 1848 as well. Karl Marx and Friedrick Engels had published The Communist Manifesto and John Stuart Mill's The Principles of Political Economy also saw print. Although they did not influence the rebels of 1848, they certainly tapped into the cutting edge of economic philosophic thought and presumably gave a voice to what some were already thinking at the time. France: The French monarchy falls and a Republic is declared. This crisis is brought on by the French Prime Minister, Francois Guizot, ignoring calls for reform. Although fired by King Louis Phillipe this move comes too late to defuse the crisis. Austria: Prince Mettemich, Chancellor of Austria for 27 years, is ousted from office. Having taken the credit for many of the decrees issued under the reign of the mentally retarded Emperor Ferdinand, he is also given the blame. Emperor Ferdinand approves the" March Laws" passed by the Hungarian Diet. This eliminated the last vestiges of the feudal system and gave Hungary considerable autonomy. Prussia: Fredrick William IV grants a constitution in the wake of a revolt in Berlin. Italy: Milan revolts against Austrian control, forcing local Austrian Army garrison to retreat. Venice declares independence. Italy: Sicily declares independence from Naples. Austria: After promising freedom of the press, a constitution and forming a council of ministers Emperor Ferdinand is forced to abdicate. His nephew, Franz Josef, will rule through the First World War. Prussia: Prussia puts down an uprising in Warsaw. An all-German parliament in Frankfurt gathers to write a constitution for a united Germany. France: Radicals of the revolution attempt to tum the social works projects of the national workshops into a recruiting ground for a revolutionary army. After the government disbands the workshops the radicals take to the streets and 13,000 die in the ensuing battle with in Paris as the army under General Cavaignac puts down the uprising. Tipperary (Ireland): The Young Ireland movement, and its nationalist aspirations, come to an end when the second of two important leaders is arrested. In the midst of the potato famine, the population is more concerned with survival than revolutions. Popular support for the revolt is insufficient. 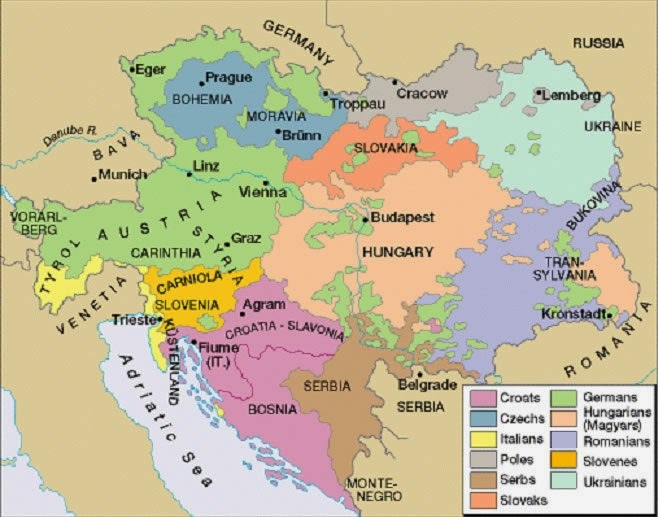 Austria: Austrian rule is reestablished in Italy after defeating the Sardinian Army of King Charles Albert. Austria: The Austrian constituent assembly of Vienna abolished Serfdom. Austria: Austria declares war on Hungary after the murder of an Imperial High Commissioner in September. The "March Laws" approved by former Emperor Ferdinand are repealed. As the nationalist spirit was enflamed all over Europe, the Slavic people naturally sought to make their aspirations known. Threatened by efforts at German unification and Hungarian nationalist policies Slavs in Central and Eastern Europe began to see the potential of cooperating amongst themselves to achieve the nationalist goals. In late April 1848 a Croat, Ivan Kukuljevic, first brought the suggestion for a Slavic Congress out in a Croat newspaper. Meanwhile, L'udovit Stur, a Slovak national leader, showed up in Prague spreading the same idea. Also, in late April, a Polish nationalist, Jedrzej Moraczewski from the Grand Dutchy of Pozan, set forth a similar concept. During March and early April 1848 Slavs from across the Austrian Empire arrived in Vienna to submit petitions to the Habsburg Emperor in support of their individual nationalist claims. With so many Slavic leaders gathered together and the imperative for a Pan-Slavic Congress on everyone's minds. Soon, on April 20, Czech leaders had met to prepare and plan for a conference, originally set for May 3, coincidentally the opening of the Frankfurt Assembly (Pech 123-124). Progress. London: Thames and Hudson, 1970. Print. Strayer, Joseph R., Gatzke, Hans W. The Mainstream of Civilization. Nationalist. The Hague: Mouton & Co., 1970. Print.